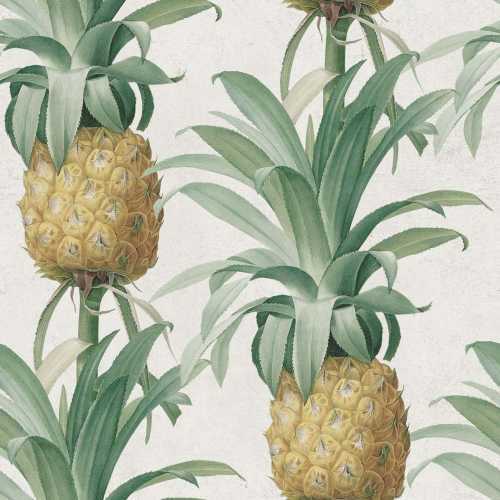 The Ananas Wallpaper by MINDTHEGAP is a muted colour tropical wallpaper featuring on-going pineapple illustration with an off-white background for a bold and pineapple striped design. This fun and tropical wallpaper design is the perfect design if you are seeking an unusual wallpaper design that will work beautifully in any interior décor space whether you are decorating your home or commercial space. This muted yellow and green pineapple design is equally spaced across the paper for a mesmerising aesthetic that captivates you and your guests/ customers. 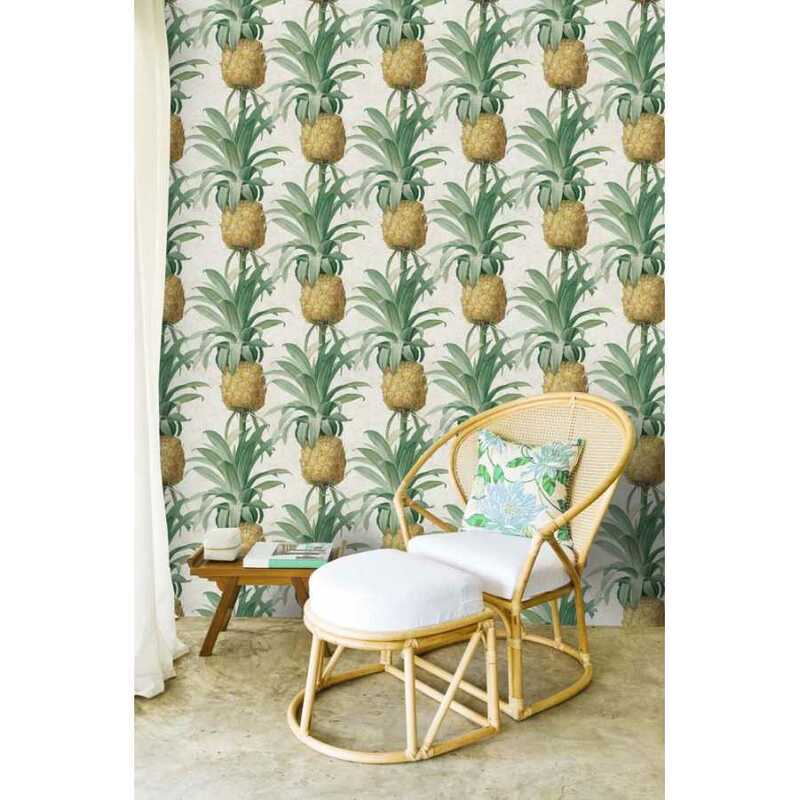 Place the MINDTHEGAP Ananas Wallpaper on a singular wall for a feature wall design or on all four walls of your room for a bold and impactful tropical design.